We do have the power to make responsible choices though. While there is always going to be room for improvement, we decided it’s better to crack on and do what we can today. Producing preservative-free not-too-sweet groceries from all real food ingredients. Used fresh and local and unadulterated ingredients above all. Using certified Fair Trade and organic ingredients wherever possible. Confirming all our products are gluten-free, dairy-free & sulphite-free. Putting our products in re-usable & recyclable packaging. Using compostable tasting cups & disposables for all our tastings & markets & events. Sorting our rubbish into the recycling bins provided at all the places we work at. Being active members of the Sustainable Business Network. Sharing what we’ve learned with our fellow NZ food and beverage start-ups. Paying above the living wage. 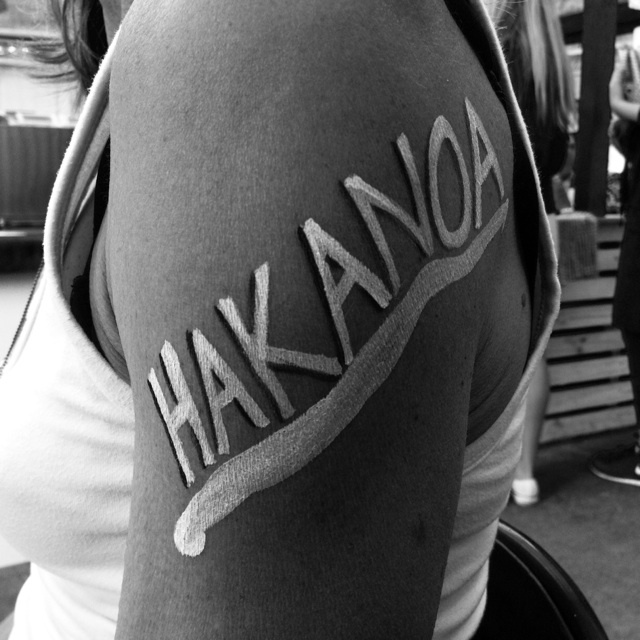 We’ve run our Hakanoa stand at several community markets around Auckland most weekends from 2010 to 2016. We can still be found on special occasions at the Parnell Trust Farmers Market and the Grey Lynn Farmers Market – both not-for-profit markets run by the community for the community. 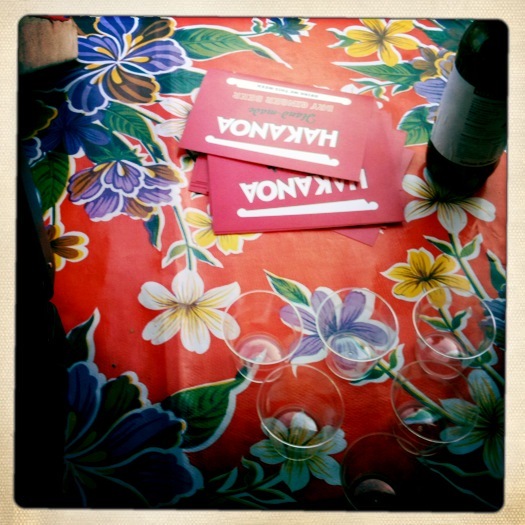 Rebekah is serving her sixth year as a volunteer on the Grey Lynn Farmers Market committee. Donating Hakanoa products to various schools and youth groups in Auckland and around NZ every single year. If you are doing anything to help improve the lives of children in NZ and the Pasifika region, we might even be able to donate a bit of product for your fundraiser – get in touch. Sponsoring our favourite charity Garden to Table – an organisation that provides primary schools with teaching programs, tutors, and materials to teach kids how to grow veges and turn them into healthy & tasty meals. We are the proud sponsors of the first ever program in a Pasifika school. 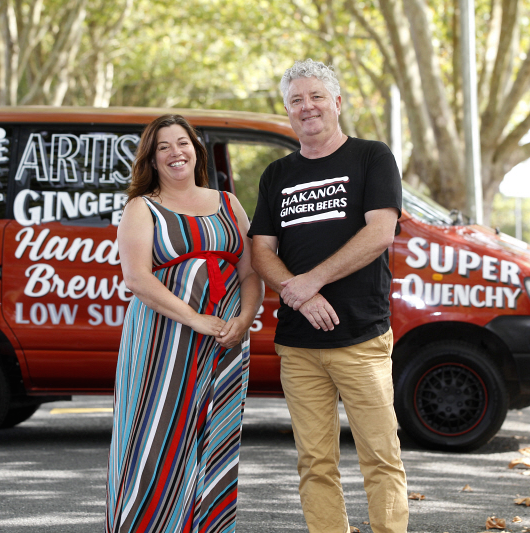 Rebekah & Roger in Hakanoa St, Grey Lynn, Auckland.